After arguments, Mark gave the students a tour of the courthouse followed by a lecture on legal research issues and Mark’s path to becoming a law librarian. The lecture took place in the Second Circuit’s new Learning Center which was created to improve and inspire civics education for the citizens of the Second Circuit. 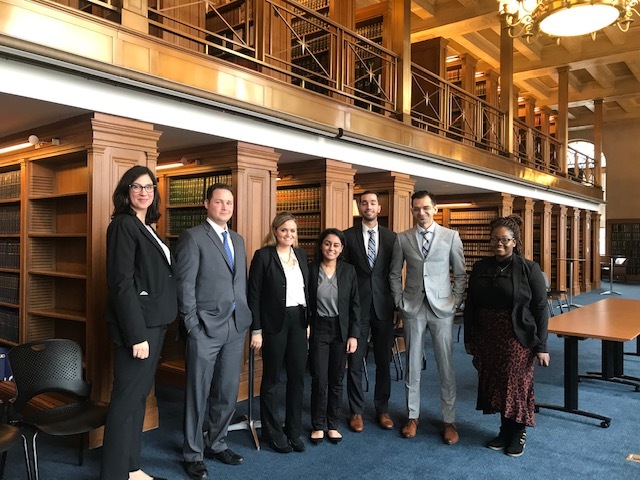 The students finished their day with a private tour of the beautiful Second Circuit library learning more about the historic collection and possible summer experiences with the circuit’s law library team.